Join Jordan and Jesse live on stage for The Summer Boys of Summer Tour at the WBUR CitySpace in Boston, MA! Join Jordan and Jesse live on stage for The Summer Boys of Summer Tour at The Bell House in Brooklyn, NY. Join Jordan and Jesse live on stage for The Summer Boys of Summer Tour at Polaris Hall in Portland, OR! 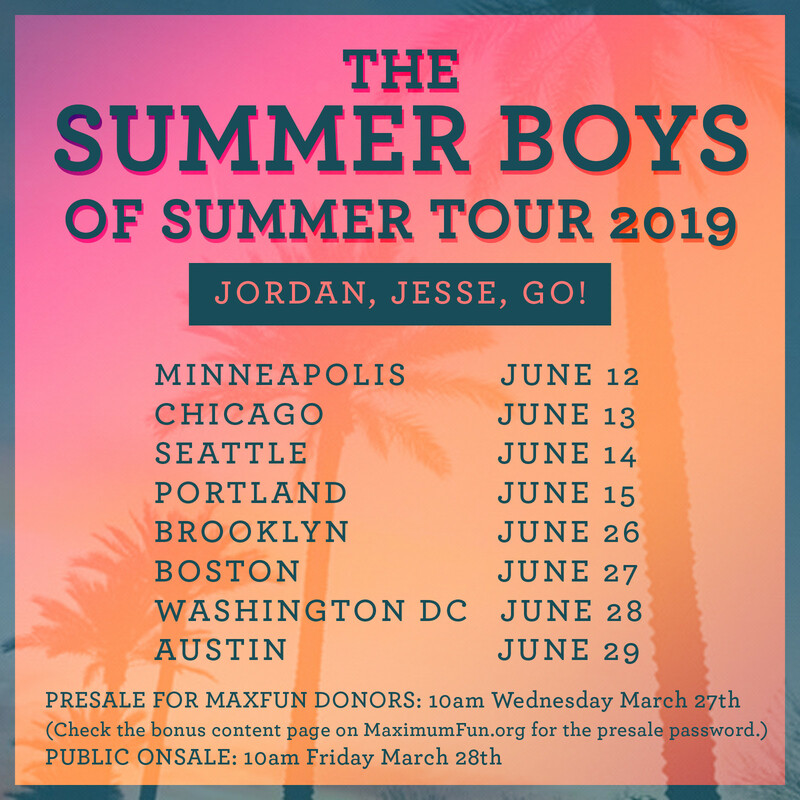 Join Jordan and Jesse live on stage for The Summer Boys of Summer Tour at the Fremont Abbey Arts Center in Seattle, WA!